IKEA, the Swedish home furnishing giant has cemented its position in India and has big plans for the Indian home furnishing market. Swedish home furnishings retail giant IKEA has already entered India and is all set to open its first store in Hyderabad in early 2018 with an investment of Rs.1,000 crores. The global leader in home retail, with a presence in 27 countries, will be setting up its India contact centre operations with a capacity of 250 people in Hyderabad and its centralized distribution hub in Maharashtra soon. Will this grand entry have any impact on Indian players in the segment? Subodh Mehta, Head - Home Furniture Business, Godrej Interio, asserts, “IKEA is one of the first companies in India to get approval for setting up 100 percent FDI in single brand retail. We surely see IKEA entering the Indian market as an important event. It will have a big impact for every Indian player.” On the flip side, Mehta also points out that 85 percent of the home retail market is unorganized in India and hence “there is enough space for everyone to stretch by organizing the unorganized part”. Beautifully designed home furnishings are usually not affordable and most people can just dream about them. IKEA’s business idea is to offer a broad array of innovatively designed, stylish home furnishings at prices so low that as many people as possible will be able to afford them. Also, India has now become more open to spending on quality products. Deepikka Jindal, Executive Creative Director and MD, Arttd'inox, affirms, “Today, the Indian customer is design conscious and they are willing to pay for a piece that they like, keeping no hindrance for the price.” Subodh Mehta from Godrej Interio also agrees, “With increase in exposure to international brands and design, consumer preferences are shifting to better quality and intelligent designs. We see the price sensitivity for this segment decreasing over time and people willing to spend on brands. Also, people are open to try experimental designs and products which is a good thing for the whole industry. The average ticket size for us is around Rs.45,000 which has increased over the past 5 years.” IKEA has also geared up to tap this opportunity coming from changing consumer spending behaviour. The retail giant’s product assortment is extensive in several ways – with no dearth of stylish and quality options, it caters to the romantic at heart and also those who like to keep it minimal. Tanay Agarwal from Skipper Furnishings maintained that the consumers of today are well versed with what they want and how much they should be paying for it. “With high standard of living and justified disposable incomes, families today are willing to purchase high-end and premium products. Having said that, we are still way behind the more developed countries where design and quality is the king,” he says. 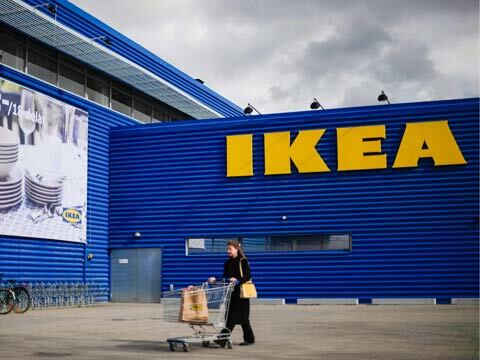 Though IKEA is yet to start its retail operations in India, it is not new to the country. It has been sourcing from India for 30 years for its stores around the world. It works with 50 suppliers in India, engaging 45,000+ direct co-workers and approximately 4,00,000 co-workers in its extended supply chain. Also, with rise of awareness for home fashion among Indian consumers and also frequent demands for theme based furnishing and décor products, a player like IKEA committed to offer quality and innovative products, is here to stay. And this will, according to the home grown brands, ultimately attract more people to home furniture, furnishings and decor as well as boost up the organized sector.